With Mother’s Day coming up this weekend, I’ve been thinking a lot about the important women in my life. Typically when we think of Mother’s Day, we think of the woman who gave birth to us, but family truly is a broad term. We don’t have to be related to someone by blood, or even by marriage, to consider them family. Some of my favorite novels are ones that explore the idea of family, that make the reader genuinely contemplate what it means to consider someone family. 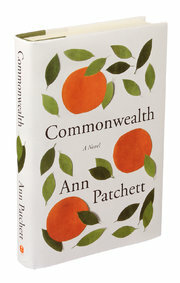 Commonwealth – Ann Patchett This novel is not quite as unique and compelling as the majority of her others, but I like it because it’s authentic. It’s about ordinary people messing up their lives in the way we do. It shows how those around us live with the consequences of our choices, just as our lives are affected by decisions made by those before and around us. 2. 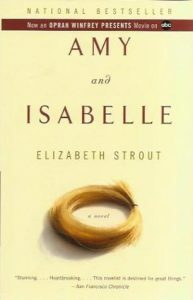 Amy and Isabelle – Elizabeth Strout At the core of this powerful novel is a mother-daughter relationship in a small town who are faced with shame and scandal. It’s a beautifully written, painfully honest story of relationships and family. There were passages where I didn’t want to read what was happening but I couldn’t tear my eyes away from the page. 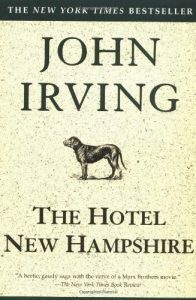 3.The Hotel New Hampshire – John Irving If you haven’t read any Irving before, this might not be the easiest place to start but it’s solidly representative of his work. In typical Irving fashion, it’s a sprawling story whose cast of characters have less than stellar decision making skills. This family lives in a hotel, trying their best to appease the father’s dreams. It’s not an easy read, but is worth it once you’re finished. 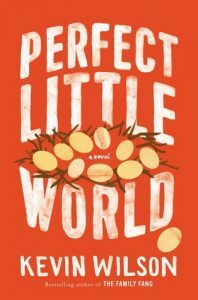 4.Perfect Little World – Kevin Wilson A pregnant teenager signs on to be part of a social experiment of sorts. It sounds creepy, but this is a beautiful book all around. The story is unique, the writing is lovely. I adored Izzy, was rooting for her from the first page. The story makes the reader think about what exactly constitutes family, and how a person can thrive without a traditional one. Have you read any of these novels? I’d love to hear your thoughts on them, or if you have another suggestion for this list!